Original photo of the 50's. 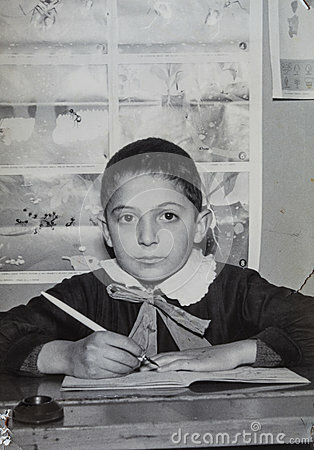 A italian child is sitting behind a school desk. Elementary school student. The boy has a pen in his hand and is writing in a notebook. Photo converted into digital using professional macro lens.